The 21st Century has brought with it a wide array of technological advancements. Many of the commercial technology products seek to earn your attention with constant commercials and advertisements. 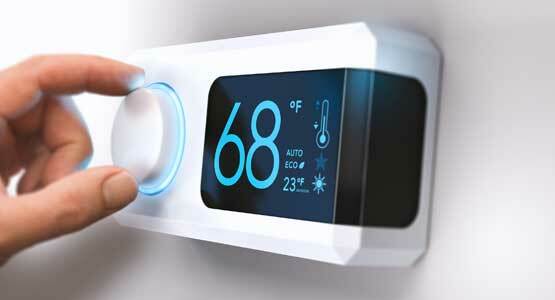 One that has gained a lot of notice is “smart” thermostats. But, while they are flashy and interesting to watch in an ad, do you know what exactly they do? And is it the best choice for you? We here at Airria Climate Systems Las Vegas air conditioning offer many services regarding heating and air conditioning repair, maintenance, and installation. And one of those services is offering you all the latest advances in our industry. We can help find the best choice for your house or business and get it installed in no time. So here’s some helpful information to fill you in on the world of this new technology. I’ve Heard A Lot. What Do They Actually Do? It’s a good question. The best way to approach the answer is to split these thermostats into two categories. Many of them actually fall into both of these categories, but there can be some differences. The categories are Self Learning and Remote Controlled. First, is Remote Controlled. This type of unit generally comes with either an app or a website. And you manually set the schedule you want your thermostat to follow. So you can arrange for the temperature in your house to rise when you’re generally away, such as school or work hours. The power is completely in your hands to control the schedule down to the second. The Self Learning thermostats do something very similar. They actually recognize your usual pattern of activities without having to be told. If it notices you tend to set your house three degrees warmer on Thursdays, for example, it will begin to do it on its own. It tailors itself to fit your habits, taking one step out of your daily routine. Many smart thermostats you’ll encounter on the market today are actually a combination of both. 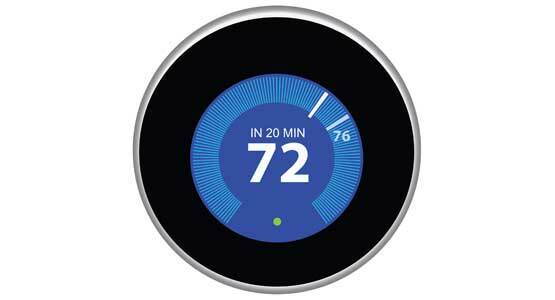 You can control the thermostat with an app or website and customize the schedule of temperatures. But it will also learn at the same time, finding the trends of what you generally schedule. It’s the best of both technological worlds! Do Smart Thermostats Actually Save Me Any Money? This is probably the hardest question to answer and there are advocates on both sides of the argument. And it’s understandable that it’s controversial because even the basic units can start at $250 easily. With such a pricey investment, what can a fancy way to change the temperature in your house actually do for you? It doesn’t take a rocket scientist to know that using your AC or heating costs you money. So it makes sense that when you can avoid having your HVAC system on, you keep some of your money in your wallet. Smart thermostats make it easy to automatically lower your heating or cooling when you’re not in the house. It will learn your schedule and adjust the system when you are away to lower your monthly bills. However, if you are already one of the few people who sets their thermostat a few degrees warmer in the summer when you’re heading out the door, this might not be as effective a money saver. You could possibly be saving money already with your HVAC habits. If this is the case, you can give it a try still because the app or website generally includes multiple graphs and informational tools to fine tune your money saving efforts further. It can be a slow process when you first get one of these thermostats. Especially with the Self Learning category, you need to give it time to adjust to your habits. But, once you’ve really settled into optimizing features, you can easily save over $100 a year. It all depends on what you put into it. The Bottom Line: Should I Make The Switch? Only you can answer this big final question. But we have some helpful guidelines to lead you through the decision making process. Hopefully, you’ll be able to decide if smart thermostats are the right fit for you and your home or business. If not, feel free to call us and a friendly technician will help you step by step in finding the best thermostat option for you. Is This Your Permanent Residence? Smart thermostats need time to adjust to your schedule and, even then, it takes a few cycles to make back the money you invested. It generally takes five years to get your money’s worth, so only purchase one if this is your forever home or if you can take it with you when you move. Do You Already Adjust Your Thermostat Whenever You Leave the House? If the answer is yes, the money saving benefit of this new technology will not be as drastic or noticeable. However, the benefit of the graphs and statistical data to help you make the last perfect tweaks on your efforts can not be underestimated. There may be ways to optimize your current habits even more, but you may not see those options until it’s in front of you. So the advantages of investing in your home are always there. If You Said No to the Previous Question, Are You Willing to Change Your Routine? Even though this new thermostat can eventually handle changing your home or business temperature on its own, it takes some effort on your part. And you have to be willing to let your house get warmer in the summer or cooler in the winter when you’re not around. If this isn’t a normal part of your life, it takes some adjusting. Compared to other investments you will make in your home at some point, this one is relatively small. But it can have a huge impact on your monthly bill and how you look at your HVAC system. If you feel a smart thermostat is the right move for you, then don’t leave the work to anyone but us. When it comes to air conditioning, Las Vegas has no one better to offer than Airria Climate Systems. Call us today and see why our customers agree we’re #1 in Air Conditioning Service Las Vegas NV! Start saving money with a smart thermostat today. Call now to setup an appointment.